IT TAKES A PLACE TO CREATE A COMMUNITY AND A COMMUNITY TO CREATE A PLACE. Our pioneering placemaking approach helps citizens transform their public spaces into vital places that highlight local assets, spur rejuvenation, and serve common needs. "Cities fail and succeed at the scale of human interaction." "When you focus on place, you do everything differently." "Placemaking takes more skills than any one discipline can offer." "The community is the expert!" PPS was founded in 1975 to expand on the work of William (Holly) Whyte, author of The Social Life of Small Urban Spaces. 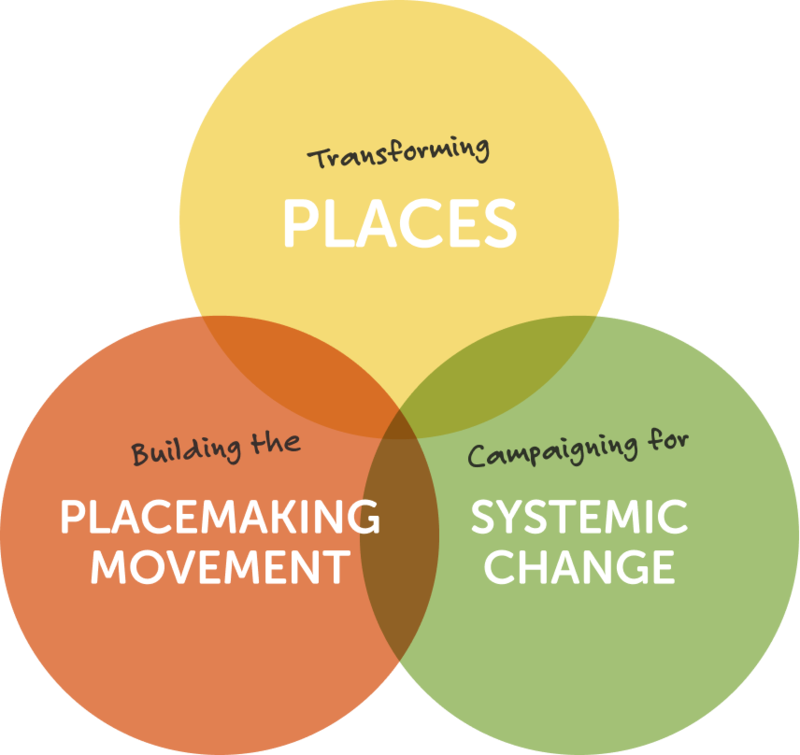 We have since completed projects in more than 3000 communities in 47 countries and all 50 U.S. states and we are the premier center for best practices, information, and resources on placemaking. We are a cross-disciplinary team That shares a passion for Public spaces. Zealous about the future of public space? Don't see a job opening that fits your skills? You are welcome to send us your resume, along with writing samples or portfolio at info@pps.org.